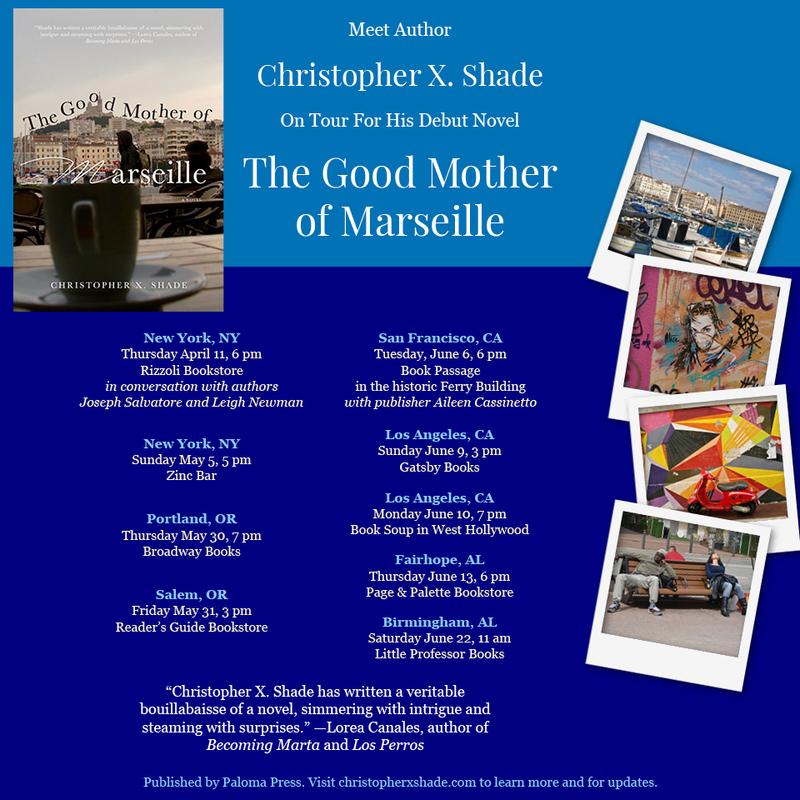 The Good Mother of Marseille – A novel about Americans searching this French port city for themselves. Scroll down to learn more. It’s the summer of 2013 in Marseille, in the year of its designation as the European Capital of Culture. Americans wander and sightsee this dangerous, impoverished yet seductive city. Noémie, an anthropology student, wants to stay. She wants to make the gritty graffiti-covered neighborhood of Cours Julien her home, but she’s running out of time, money, and her university sponsor’s patience. I’m so happy you’re considering my book for your book club, and want to be sure you know right off the bat that I LOVE meeting with book clubs, either in person (in the greater New York area) or by video call or telephone. Contact me and we’ll figure something out!